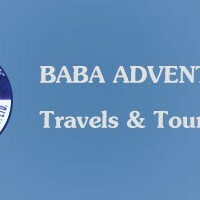 Home » Baba Adventure Travels and Tours Pvt. Ltd.
Baba Adventure Travels and Tours Pvt. Ltd.
Baba Adventure Travels and Tours Pvt. Ltd has come up with the tourists bus service having various tourist friendly features. They conduct services from Kathmandu to Nagarkot, – Pokhara, – Chitwan, – Lumbini, – Dhunche, – Indian borders and elsewhere in Nepal.